Students at Mt. Helix Academy are directly taught the social skills that will enable them to develop healthy friendships and to be good citizens throughout their lives. Our students are taught these critical skills just as carefully as they are taught to read or do math. Good friends make life so much fun! Beginning in Kindergarten, Mt. Helix Academy teachers deliver formal lessons to our students in a variety of important social skills, including how to greet others, initiate and participate in conversations, share with others, ask for assistance, respect other students’ personal space and property, express opinions in a positive manner, etc. 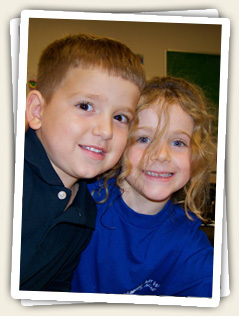 In addition, students are taught how to resolve conflicts with others in a productive, pro-social manner. Elementary and Middle School students are taught strategies for how to deal effectively with challenging peer relationships and how to remove themselves from uncomfortable social situations. Students have the opportunity to role play important social skills and receive a great deal of positive feedback for successfully applying them. Mount Helix Academy teachers are continually looking for those “teachable moments” when they can model and reinforce these critical social skills with their students. Our teachers frequently acknowledge and praise students for their kindness and respect for others and they encourage our students to do the same with their peers. Being a good citizen and a good friend is promoted and recognized in age-appropriate ways from Kindergarten through Middle School. As a result, Mt. Helix Academy students are easy to like, are socially responsible, and display great respect for one another, for their teachers and for other people in their lives. Doing for others is one of Mt. Helix Academy’s principal goals for its students. In order to assist and encourage them to become willing and important contributors to our society, all of our students are encouraged to give to others in a variety of age-appropriate ways. First, we teach our students that Community Service begins in the home. We encourage them to find ways to support and contribute to the wellbeing of their family members. Next, they are encouraged to provide service to friends and neighbors within their immediate neighborhood. Finally, they are encouraged and acknowledged for participating in more formal Community Service events. The various ways in which our students have been of service to others is a frequent topic of classroom discussion and students receive high positive regard from the Mt. Helix Academy staff for their efforts. Students also learn to take pride in helping others at school and in taking good care of our school facilities and environment. They are acknowledged and thanked for their efforts through our all-school “Caught Doing the Right Thing” program. Our students are involved in all-school and individual service projects that include volunteer work through religious or civic organizations (such as food pantries and assisting at Mama’s Kitchen), peer tutoring, and participating in organized runs to raise funds for community and charitable programs. This goal becomes more formal at the Jr. High level. Each Jr. High student is required to complete 20 hours of volunteer work each academic year. Students perform service projects either on campus or off campus. A number of Jr. High students earn community service hours by volunteering as Counselors in Training at the Mt. Helix Academy Summer Camp. Students log their activities throughout the year and submit a summary of their accomplishments each May.